$13.99 Copic Ink Refills are available by special order in all colours and one refill bottle will refill your copic ciao marker approximately 15 times! 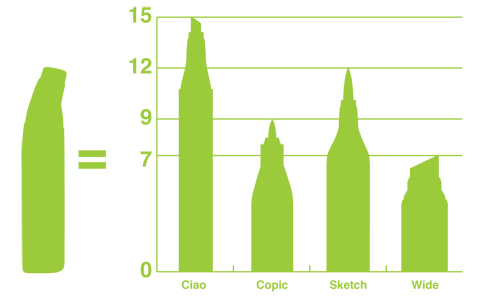 Making copics a very affordable art material in the long run. They can also be dripped on to paper and used with a paintbrush for new and exciting effects.